Whether you believe in fairy trees or not, you can find your lucky shamrock amongst all things Irish in this fun collection of the Emerald Isle's fabled lore. 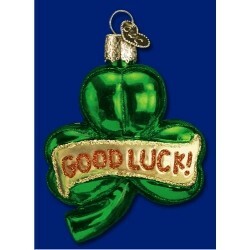 We offer the classically Ireland pot of gold over the rainbow, as well as a genuine lucky charm ornament. If you're shopping for children, please note the delightful and fun Irish bell ornament, complete with Leprechaun dancing on top. For a special couple recently married, we offer a loving Irish heart to welcome them both into their first Christmas together. 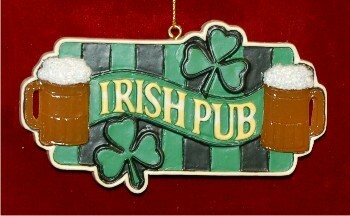 Use any of the data fields presented to personalize your custom Irish ornament gift or for your family to celebrate the holidays.